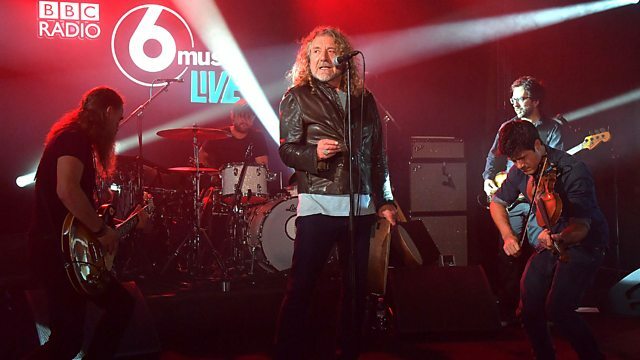 Watch the highlights from Robert Plant's performance at Maida Vale Studios for BBC Radio 6 Music. With tracks from his new album Carry Fire and some classics! Best known as the lead singer and lyricist for the rock band Led Zeppelin, Robert Plant is joined by his Sensational Space Shifters to perform songs from the new album Carry Fire ahead of their UK tour, alongside some of his classic tracks. This is his eleventh album and first full-length release since 2014's acclaimed Lullaby And...The Ceaseless Roar. Live performances from Lauren Laverne's week of music at Maida Vale's legendary studios.